management system, which can support data processing, sharing and coordination. integrity of government data from various vulnerabilities. other facilities established in Phase I BanglaGovNet project. of The People’s Republic of China. To expand the government wide network to be established under Phase-I BanglaGovNet Project to all the District and Upazilla level offices throughout the country. To improve government efficiency and promote interaction between ministries/divisions, departments, districts and upazillas by construction of government ICT network infrastructure. To use ICT system within the public administration to improve efficiency, accountability and transparency, reduce wastage of resources, enhance planning and raise the quality of services. To maximize the automation of work processes through integrated information management system utilizing National E-Service System (NESS). · Promote transparency and accountability in the business process of governance. · A centralized data management system, which can support data processing, sharing and coordination. · Adequate security features to protect the integrity of government data from various vulnerabilities. · Info-sarker project is the second phase of an effort to meet the above requirement. Bangla-GovNet project being implemented by BCC builds the ICT Backbone Network up to the district headquarters. Info-Sarker extends this network up to the upazilla level, connects the government offices at district and upazilla level. Its scope also includes expansion of National Data Center, establishing Disaster Recovery Center, Wifi Network , distribution of Tablet PCs etc. · Without the proper implementation of this project efforts to render E-services at the door-steps of our people would be difficult – if not impossible. · Connect all government offices at the district level (on an average 55 offices for each District). · Connect all government offices at the upazilla level(on an average 30 offices for each Upazilla). 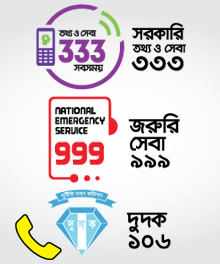 · Backbone Connectivity from 64 Districts to 421 Upazillas (except those 64 Upazillas which have already been covered in Bangla GovNet project).